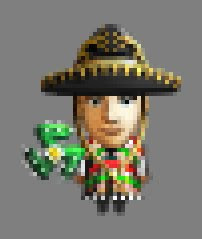 ¡Feliz Cinco de Mayo! Un poncho, un sombrero y un shuriken de cactus. 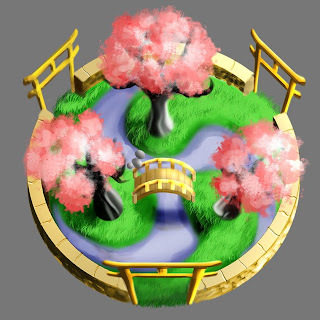 Made a Japanese garden for Parallel Kingdom to celebrate Golden Week. 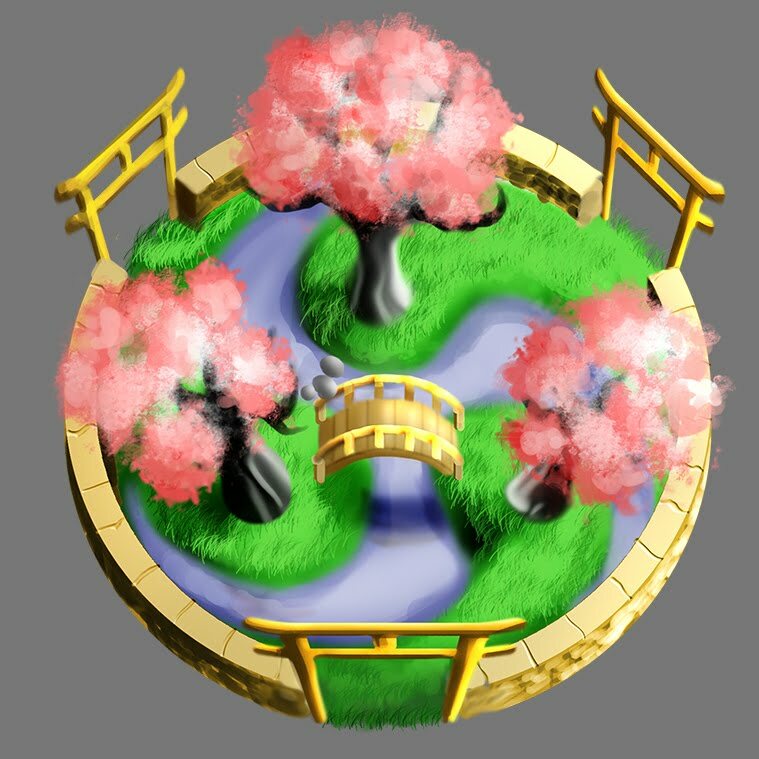 We already have a rectangular zen garden with a cherry tree for one of our character classes, so I tried to do something a bit different; I decided to ground the design in a threefold tomoe symbol. 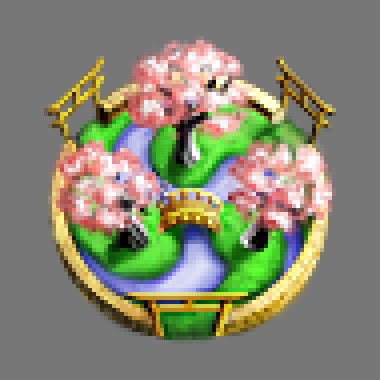 Here in the high resolution painting you can see how I leave a lot unpolished, since many of the details won’t translate to the in-game pixel size anyway. Yet it is detailed enough so that it wouldn’t require too much touch up work in case my employer wanted to use the hi-res image elsewhere. 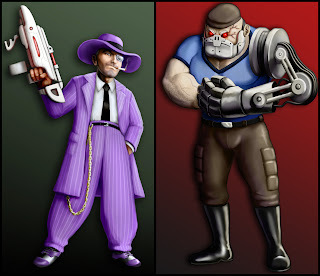 Polished a couple of my enemy NPC designs from Parallel Mafia. 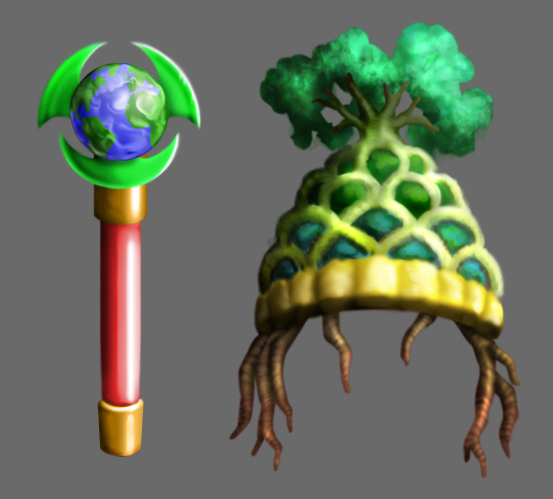 Celebrating Earth Day with new Parallel Kingdom swag.